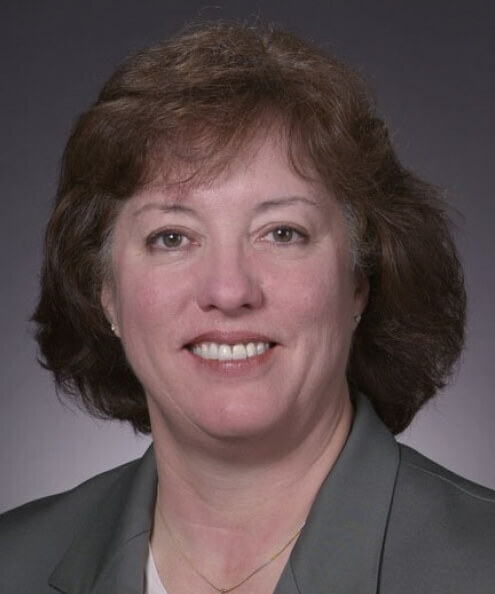 Pam Elliott Cain, CPA, has been serving as the interim senior vice president for finance and university services at Iowa State University since December 2017. Prior to her interim role, Cain served as the associate vice president for finance and university secretary, a position she began in 2007. In her current role, she provides leadership, leverages resources and collaborates with partners across the university to accomplish positive results in financial management, business operations, institutional policy development, information technology, fringe benefits, tax, capital planning and oversight. She also represents the divisions in various university-wide activities. Prior to her work at ISU, Cain served 11 years as chief business officer with the Iowa Board of Regents, governing body for the three public universities in Iowa. In that role, she coordinated policy, governance, decision making, strategic planning, finances, business practices, legislative and external communications, compliance and office operations. She spent many years in the office of the Auditor of State for the state of Iowa as an audit manager with accomplishments that included enhancing audits processes, originating fraud investigative techniques, creating projects to generate cost savings and improve processes and designing professional structured curriculum for internal certified public accountants. Some of her external activities include or included chair of the Ames (Iowa) Chamber of Commerce Board of Directors, treasurer of Mary Greeley Medical Center Foundation, Rotary Club of Ames (Iowa), leadership roles for the Central Association of College and University Business Officers, treasurer of the Ames (Iowa) Main Street Cultural District and ISU Veterinary Services Corporation board member.